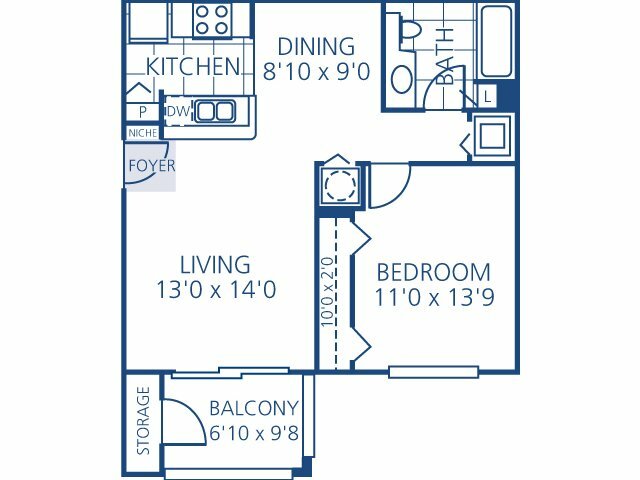 The Sanibel is a one bedroom home that welcomes you in a large living room. The corner kitchen opens to the living room and separate dining room. The private balcony/patio is accessible through the living room and features outdoor storage space.